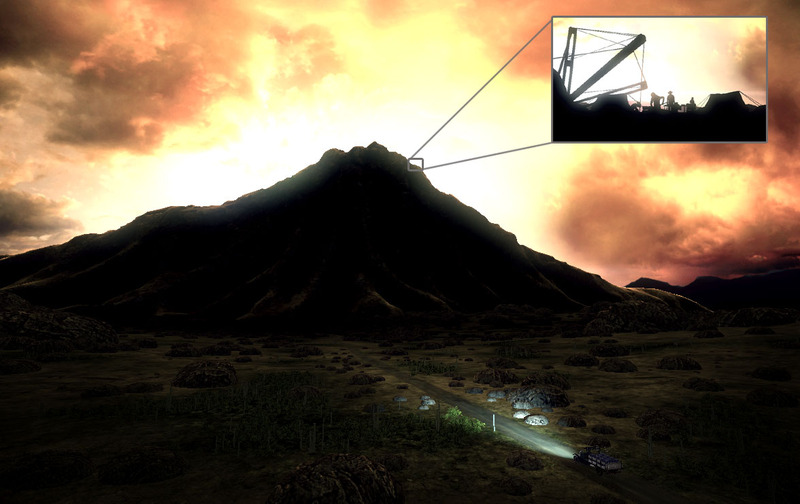 Post news Report RSS	Beta - And a volcano! Long time no update! We have been working very hard in the past few weeks to get the game into Beta. And about a week ago we did! The game is now entirely playable from start to end, although some parts are not yet perfect or all that polished. We are holding weekly Focus Test sessions. And we have extended the intro of the game a bit! Long time no update! We have been working very hard in the past few weeks to get the game into Beta. And about a week ago we did! The game is now entirely playable from start to end, although some parts are not yet perfect or all that polished. We are holding weekly Focus Test sessions now. We invite someone over who is new to the game, and have him play through the entire game from start to end while we watch. The first session we caught over 200 issues, and the second session we found roughly a hundred problems and issues. This is also a great way for us to find out what parts of our game are hard to understand. What happens a lot right now is that people don't know there is a button on the floor above them for example, because that button is on the floor, and thus can't be seen from the level below. We don't notice those things anymore since we know exactly where every single button is, but the playtesters do! We are touching up the intro of the game. We actually made an outdoor section outside the volcano takes place in. we wanted to make it more clear to the player that he is actually in a volcano, and in particular we wanted to show the scale of the volcano to the player. We want the player to feel threatened by this massive dark silhouette on the horizon, and we wanted to convey a feeling of insignificance. Humans the size of ants compared to the volcano. This was a quick concept sketch we did before we started working on the area. You get to see what the dig site looks from the outside, and it shows the massive scale of the volcano. We are currently also reworking the weapon a bit. We are animating the arm in particular. It feels a lot more dynamic if the arm isn't as rigid as it used to be. When you swim underwater for example the arm actually lets go off the weapon and swims. As soon as improved weapon is fully integrated into the game we will start pumping out a lot more videos regularly and show you how the game looks and plays! closed beta? Lucky people. Open beta? Link me por favor... This is the (imho) original UT3 conversion mod. Looking forward to giving you my monetary support, and especially looking forward to the box/insert art. ha, it rhymed a little bit.